At iFLYflat, our whole business model is about finding reward seats for the best use of your points. So it’s no surprise we’re excited about this exclusive offer we’ve got for you, in partnership with Enrich, the reward program of Malaysia Airlines. 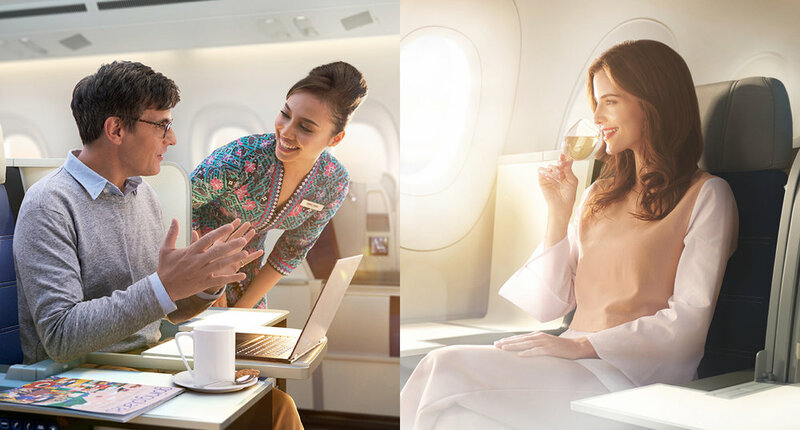 For this month only, you can use your Enrich Miles (or points transferred from AMEX, Westpac Altitude, Citibank Rewards etc) to fly Business Class to Europe for a fixed points price. Normally, you’d need 280,000 Enrich Miles or more to fly this route, plus pay for the airlines taxes, and that’s only if you are able to find an available seat on your ideal dates. Via this special offer, iFLYflat has secured 100 seats, plus we’ll book your flight(s) and cover the taxes for the total AUD$2,500 per ticket. You can fly from Sydney or Melbourne, landing at London Heathrow with a quick stopover in Kuala Lumpur. This is a great deal for anyone who’s been looking for a last minute business or personal trip to London. Or if you’ve been thinking of surprising someone with a last minute getaway, now’s your chance. *Enrich miles are revenue based and can fluctuate. Offer period is for travel to/from London between 1-31st May. Our team has up to 100 seats secured, so all you need to do is let us know the day and we’ll lock in your seat/s. Please note, these seats are limited, and subject to terms and conditions, details here. What points can I use? There are a number of programs that transfer to Malaysia Airlines Enrich program, including American Express rewards, Citibank rewards, and Westpac Altitude rewards. Depending on your program, you might require more or less points to transfer. Our team will handle the transfer calculations and process, you just let us know your points balance. Reward seats in Business or First Class are always a challenge to find, especially last minute. To be honest, you’ve got little luck flying with other airlines in this month of May. Virgin and Qantas are near-empty with seats in Business class for MEL/SYD to London (LHR) over the next few weeks. As you can see, Qantas is really quiet, even settling for Premium Economy. From Sydney or Melbourne, you’ll be flying Malaysia Airlines in their Airbus A330 Business Class cabin. Once you stop over in Kuala Lumpur, you are invited to relax in one of the airlines signature Golden Lounges. Check out our video review of them here. From KL, you’ll then enjoy the new A350 Business Class, the latest in Malaysia Airlines fleet and cabin experience. Arrive fresh and rested in London, enjoying the award-winning Malaysian hospitality onboard. Why not book yourself? This deal is only available through our Flight Concierge Team. You cannot redeem this offer through Enrich directly. Why pay the $7,120+ per person to fly Business Class, when you can fly for $2,500+Points. Be quick, this offer ends soon.